I had some ripe bananas to use up the other day, so I made these Raspberry Banana Muffins. 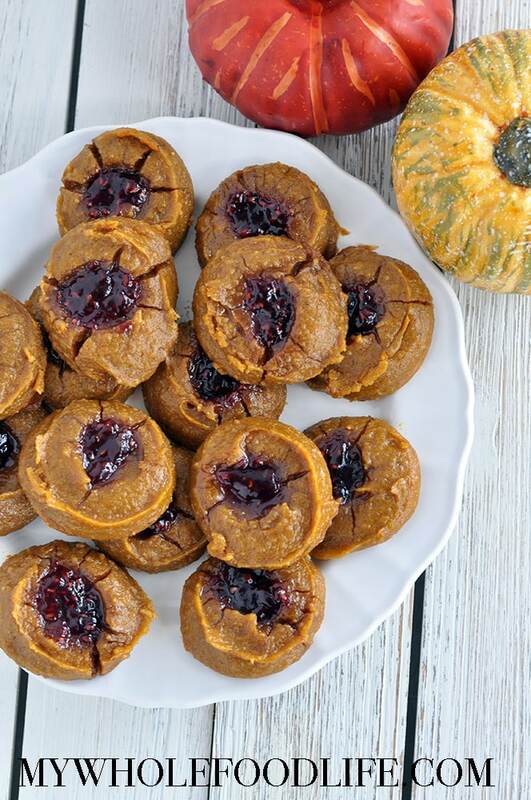 These healthy muffins are gluten free, vegan and oil free. 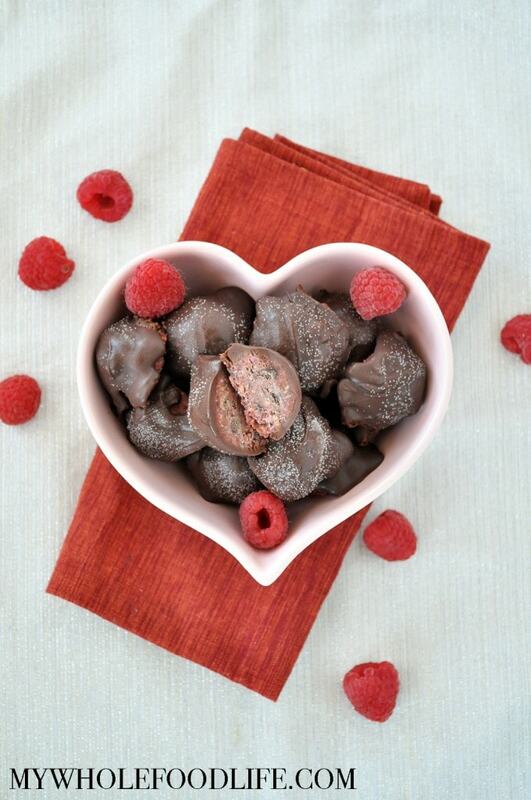 You only need a few simple ingredients to make them. 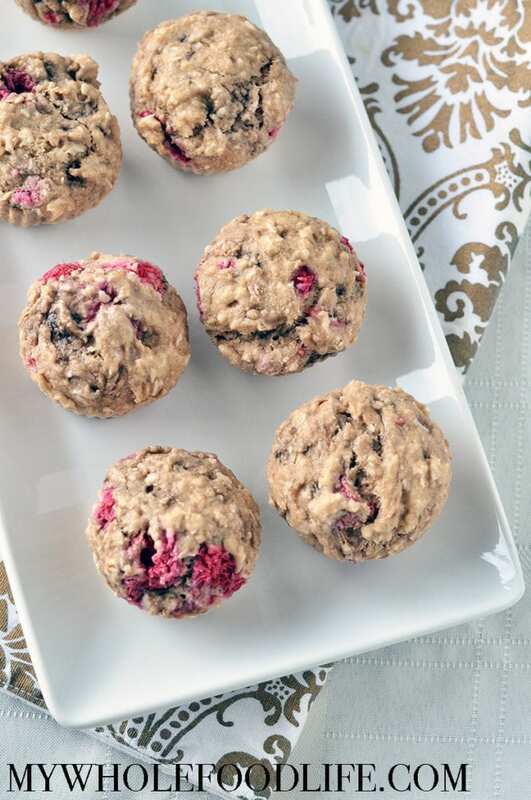 I added shredded coconut into these muffins because I think raspberry and coconut just go fabulous together. Don’t you think? These muffins would be great to throw in your purse before work. They freeze and re-heat very well too. For more healthy muffin recipes check out this post. I use my ice cream maker at least once a week in the summer. 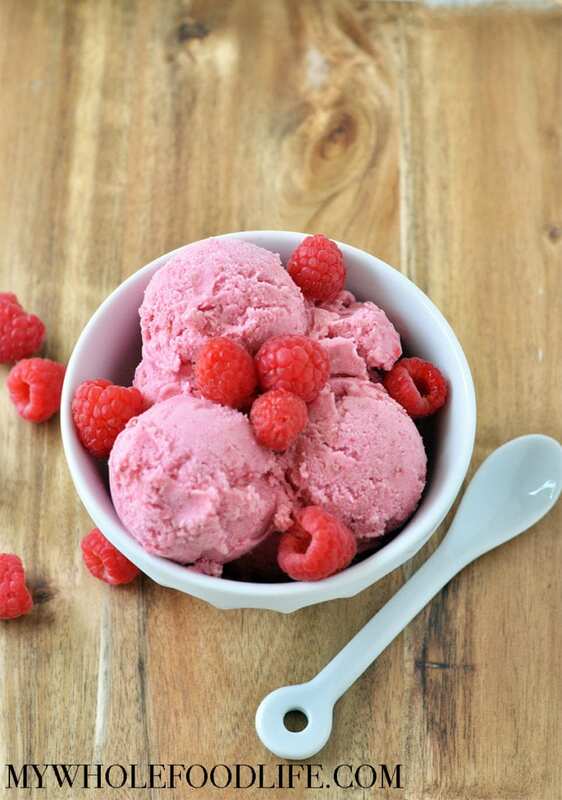 This Raspberry Coconut Ice Cream is my latest creation. 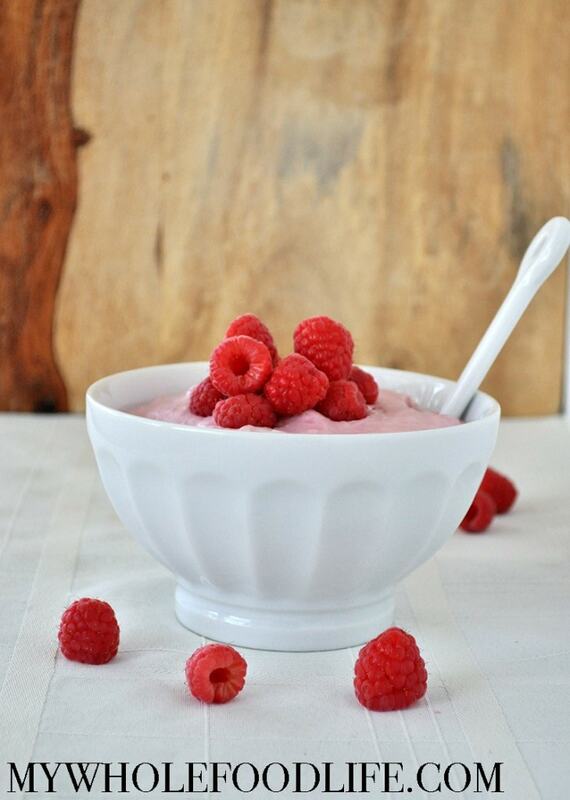 I just love the combination of raspberry and coconut, don’t you? 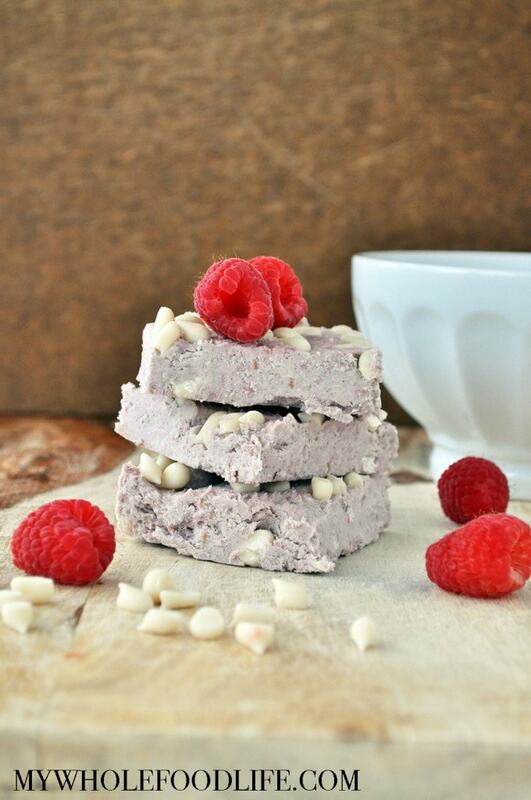 This ice cream recipe is vegan, gluten free and paleo approved. Zero processed sugar too. One thing I noticed about store bought healthier ice creams is that they all still contain processed sugars, and have too long of an ingredient list for me. My homemade ice cream recipes are super simple to make and you can control the ingredients and the sugar amount.